GIFs are a short, sweet and effective tool to keep your audience captivated! Not only are they entertaining, but they're also proven to increase engagement and shareability. On a program promoting Genuine Thermos Brand’s Shaker Bottle, influencers who created a video or a GIF to show a visual step-by-step drove nearly 20% of overall engagements and 34% of total blog engagements. The effectiveness of GIFs extend beyond your Linqia programs, too! Studies show that Facebook posts including images see 3x more engagement than those without, and your audience is about 40x more likely to share a post that incorporates visual content. Share Your Process: Your GIF should clearly show the process of what you’re doing. Whether your visual aims to capture how you create a recipe or unbox a package, let your GIF do the talking so you don’t have to.2. Stay Focused & Consistent: Ensure that the frames of your GIF are taken in the same lighting and scale, so that your final product is as seamless as possible. If needed, use a tripod to to keep your image steady. Stay Focused & Consistent: Ensure that the frames of your GIF are taken in the same lighting and scale, so that your final product is as seamless as possible. If needed, use a tripod to to keep your image steady. End In The Position You Started: For a perfectly looping GIF, you’ll want to start and end your frames in identical positions. Keep this in mind when creating both a GIF video andGIF photo slideshow. 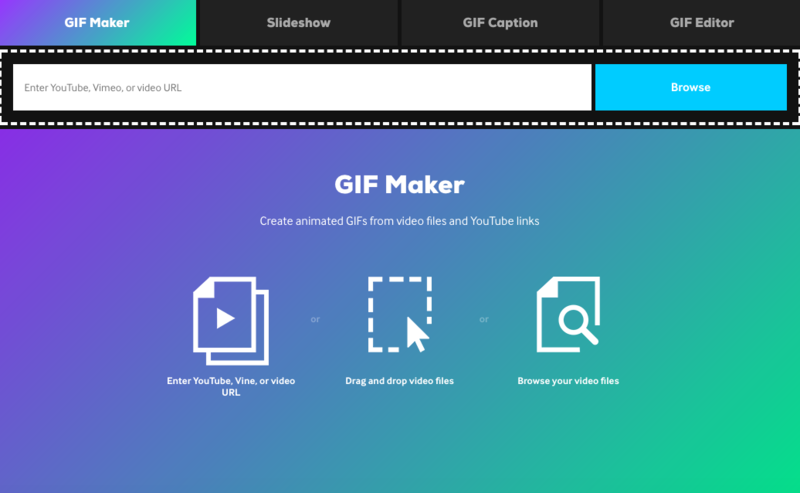 When Creating a GIF From a Video: Use Giphy GIF Maker to easily convert your original video into a GIF. The GIF Maker allows you to convert both video files and YouTube links by selecting exactly which points in the video you want to capture. When Creating a GIF From Photos: Use Giphy Slideshow or GIFmaker.me to stitch together a series of photos in a quick, GIF slideshow. Customize your GIF by selecting the order of your photos, the canvas size, the speed of transitions, and the number of times your GIF should loop. If you have any questions, please feel free to reach out to your program Brand Success Manager or the Influencer Success Team at community@linqia.com.